After Tamil and Telugu, Hindi version of 2.0 full movie has also been made available on internet by illegal sites, which might affect its box office collection. Recently released 2.0 Hindi version has also become a victim of piracy now. Hindi version of the full movie has been leaked online for illegal torrent site users to watch it on internet or download for free. 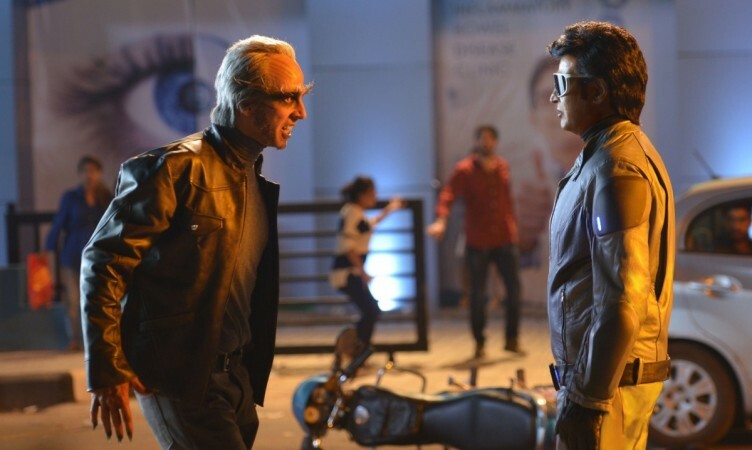 Starring Rajinikanth and Akshay Kumar, 2.0 got released this Thursday amidst a lot of expectations. But just hours after its release, Tamil and Telugu versions of the sci-fi thriller was leaked online. Now to add more worry for the producers, Hindi version of 2.0 full movie has also been made available on internet by illegal sites. Some of the prints are of poor quality, but some sites have caught hold of HD quality print of the movie. The makers of 2.0 have had taken strict measures to avoid the movie from being leaked online, but in vain. Before the release of the film, Lyca Productions Private Limited had filed a plea at Madras High Court, demanding an order to block all illegal torrent sites that are known for uploading pirated south Indian movies. The high court had then ordered as many as 37 internet service providers to block over 12,000 torrent websites. However, looks like all the efforts have gone in vain as the full movie has been leaked online in no time. Although 2.0 has had a thunderous opening at the Indian box office, this might hamper its collection in the coming days. Piracy has been a big menace for the Indian entertainment industry as almost every movie gets hit by it soon after the release, and in some rare cases even before the official release. Directed by Shankar, 2.0 is a sequel of the movie Robot. Akshay and Amy Jackson are the new additions to the cast, while Aishwarya Rai Bachchan, who was part of the first part, is not included in the latest cast.